Gana River Outfitters is a family owned and operated business that specializes in quality family friendly service. We offer fully guided fair chase hunts for Dall Sheep, Mountain Caribou, Alaska-Yukon Moose, Wolf and Wolverine. Our exclusive 6,000 square mile area lies in the heart of the MacKenzie Mountains of Canada's Northwest Territories, one of the largest pristine wilderness areas left in the world. 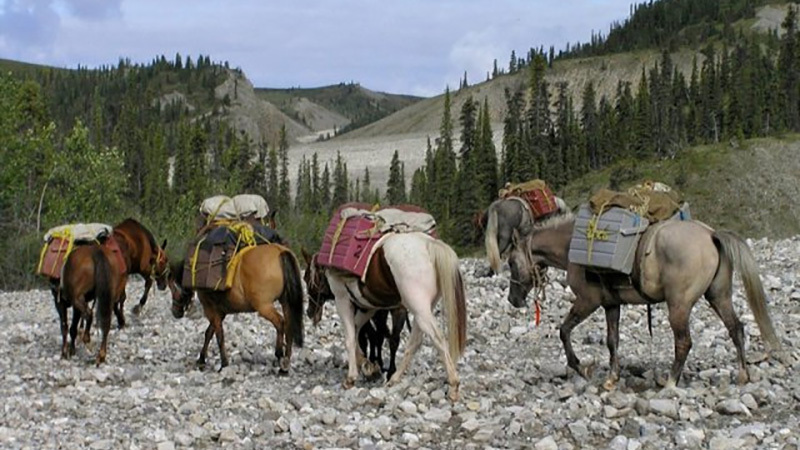 Traditional horseback or backpack hunts can be arranged for single or multiple species from mid July through late September. We also offer winter snowmobile hunts for wolves in late March through early April. Our beautiful and comfortable Base Camp is second to none in the industry, and our friendly and experienced staff work hard to make make your hunt both successful and enjoyable. We welcome non hunting companions and encourage our clients to bring along their wives or children to share in their "Hunt of a Lifetime".